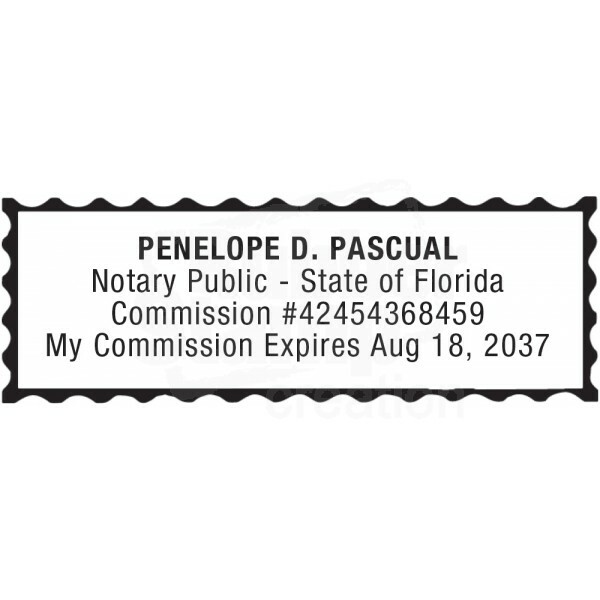 Custom Notary Stamp for the state of Florida 1. This hand stamp replaces traditional wooden stamps. A stamp pad is needed to use these stamps. The pre ink uses oil based ink, does not flip up and down. Lasts for about 2 or 3 times longer than the self inking, before ink needs to be added. The impressions are sharper and always perfect. An embosser or a rubber stamp with ink may be used. Seal must contain: the Notary’s Name, Commission Exp. 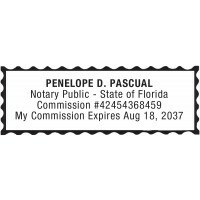 Date, Commission Number and the words "Notary Public" and "State of Florida". A symbol can be added to the seal, however the Great Seal of the State of Florida is strictly prohibited. The ink color may be black only and should be able to be photographically reproduced clear and legible.